This is the final new monster you unlock in Monster Hunter 4 Ultimate, even after the final boss. 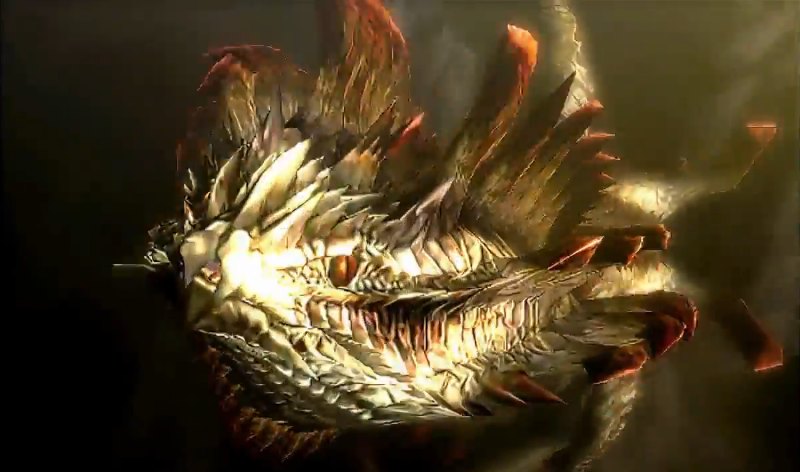 Come and meet the subspecies of the Dalamadur! 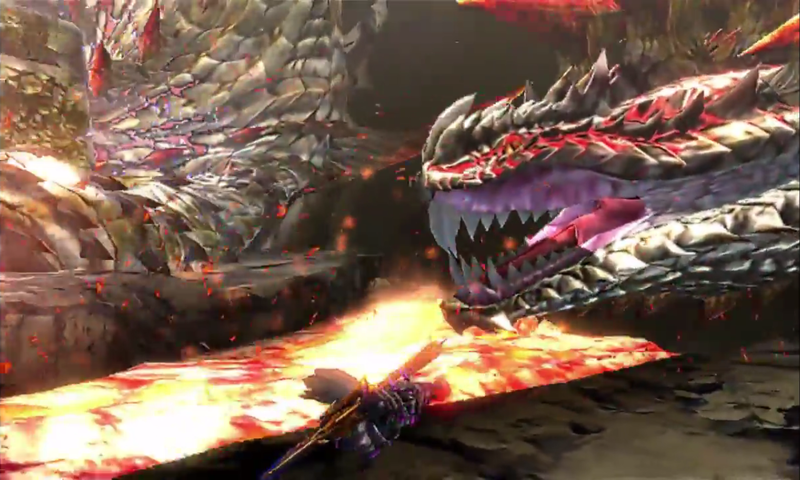 The Dalamadur was the online final boss of the original Monster Hunter 4, which was exclusive to Japan. Monster Hunter 4 Ultimate saw a subspecies introduced, which is more powerful and has a few new moves. The Shah Dalamadur is white in colour, with red spikes running all along its body. 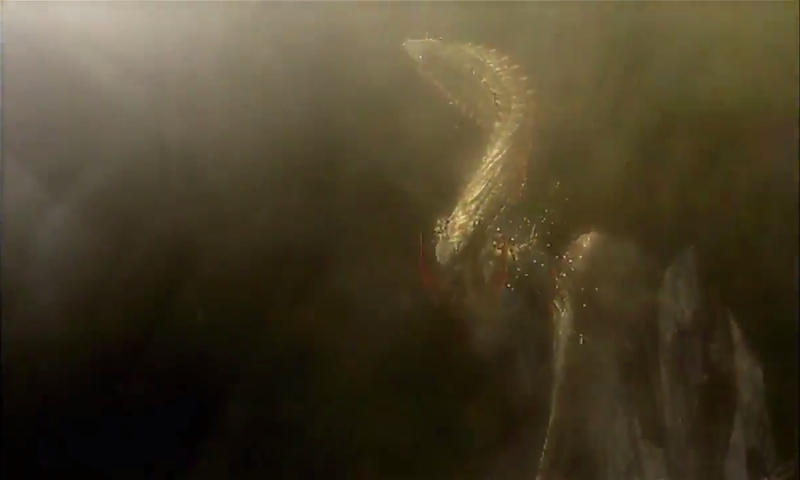 It’s a massive elder dragon and one of the biggest in the series, second only to the Frontier-exclusive Raviente. It’s one of the few monsters that cannot be ridden. The Dalamadur and its subspecies have a fondness for wrapping themselves around rocky pillars. This monster will start out with its body wrapped around one. Climb a small cliff and zip around its head – watch out for its tongue, it causes paralysis – and you can climb its body as it twists around the pillar. Climb all the way up its body, and there’ll be a giant spine protruding from its back. This can be broken, and doing so will cause you to drop off the monster and into base for supplies; it’s generally recommended to do this first. Part way up the monster’s back, you’ll see some vines off to your left. Jump on to those, and you can climb up the pillar and be presented with two options. You can head off to the right and attack and break one of its claws, which will likely cause the monster to collapse and give you a few free hits. Run off to the left, and you can jump on to its head. You can carve it twice from here, and also land a number of hits. Be careful before you jump, as the Shah Dalamadur has a tendency to randomly move it so you miss your jump; I’d recommend waiting until after it moves of its own accord before jumping. For reference, the head breaks twice. The Shah Dalamadur will stand in front of this pillar as well. When it’s here, its chest is open to attack, though you’ll take damage just front standing near it as it’s so hot. You’ll also want to keep an eye on the monster, as it can turn around and hit you with a fireball while you’re at its chest. You also have free access to its claws while it’s standing here; the chest and claws all break once each. The monster’s tail will hang out directly opposite this giant pillar. Make sure you break it as early as possible, because it needs to be broken before it can be cut and carved. If you leave it too late, you won’t get the tail, which has a rare drop you’ll need if you want to make any of its equipment. Every once in a while the Shah Dalamadur will start to move. This takes a while, as the thing is so massive. This is an opportunity to get some free hits in as its body slides past you. Keep an eye out for a pillar of white light that thins over the course of a few seconds; it’s a sign of an incoming fireball from the sky. The developers of this game really like random explosions. They’re just SO much fun. These fireballs will sometimes leave behind what look like light blue eggs, which you can mine for rare items. There is a second pillar the Shah Dalamadur can cling to. Its claw will hang out at the top, which you can attack as much as you like. You can also hit its chest at the base of the pillar. When you’re down here, you’ll have to watch out for its claw attack; it’ll swipe it across the ground for damage, and leave a trail of lava in its wake. This trail will hurt you whenever you step in it, so watch out! After you’ve done enough damage to the Shah Dalamadur, it will wrap itself around this second pillar and crush it. It’ll come back the next time you take the quest, though. 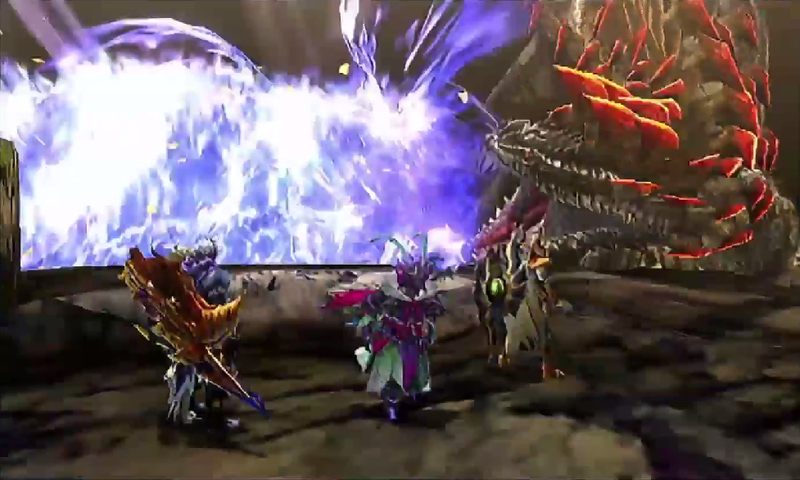 Sometimes the Shah Dalamadur will disappear from the area. When this happens, lock on to its head and keep pressing L until the camera refocuses. See, when it disappears like this, it’s preparing for a powerful attack. It will either ram its face into the ground and drag it towards you in a bite attack which will one-shot you, or it’ll let loose a powerful beam of blue fire which it swings across the map which will also one-shot you. The bite will also leave a trail of lava in its wake, much like the claw attack I talked about above. Fun, right? It generally does these attacks a couple of times in a row; I’ve seen it do up to three in a row (it disappears again before each one so you have time to get back on your feet). Once it’s done, it’ll stop and rest for a few seconds, allowing you to get in a few hits. It really is important to target its head and spam L; I’ve had it happen a few times where it came back up and I couldn’t see where it was. I just died, and had no idea what killed me. Next week marks the final entry in this series, the fearsome Gogmazios! Thanks to the Monster Hunter Wiki for the images and iCEMANnoob for his hunting video.